(Trent Nelson | Tribune file photo) Sen. Allen Christensen, R-North Ogden, speaks as the Senate Health and Human Services committee debates SB96, a bill replacing Proposition 3, at the Utah Capitol in Salt Lake City on Tuesday Jan. 29, 2019. The full Senate gave preliminary approval to the measure on Wednesday. The Utah Senate is one vote away from approving a partial Medicaid expansion that would be more costly in the short-term for a smaller pool of beneficiaries than the voter-approved Proposition 3. Senators voted 22-7 on Wednesday, largely along party lines, during a preliminary vote for SB96, which would allow individuals earning up to 100 percent of the federal poverty line to enroll in Medicaid, compared with 138 percent for Prop 3. Utah would initially pay 30 percent of the Medicaid costs for new enrollees under SB96, a cost share three times larger than what the state would face under the voter-approved initiative. But bill sponsor Sen. Allen Christensen, R-North Ogden, said he’s received verbal assurances that the federal government would eventually agree to fund 90 percent of the state’s Medicaid costs, ultimately reducing Utah’s health-care expenses. Jonathan Monroe, a spokesman for the federal Centers for Medicare and Medicaid Services (CMS), would not confirm or deny that any such assurances have been given to Utah elected leaders. Christensen’s bill, which requires an additional vote before moving to the House, was opposed by every Democratic member of the Senate as well as Republican Sen. Todd Weiler, of Woods Cross. During debate, members of the minority caucus questioned the speed of the bill, which has not yet received a public financial analysis despite earning committee support on Tuesday and an initial vote on the Senate floor. The legislative session began on Monday. Sen. Gene Davis, D-Salt Lake City, said the bill is indicative of a problem in Utah, with the state Legislature hesitant to support the needy while acting to promote Utah’s more affluent residents. And Sen. Jani Iwamoto, D-Holladay, criticized her Republican colleagues' willingness to preserve only the portions of Prop 3 that bring revenue into state coffers. “I think it’s wrong to keep the sales tax increase if we’re not going to deliver what was approved by the voters,” Iwamoto said. But Republican senators argued that in SB96, they are enacting the intention behind Prop 3 in a fiscally responsible manner. The bill imposes work requirements and spending caps, while also returning would-be beneficiaries to the Affordable Care Act individual marketplace in an effort to reduce costs for the state. And Sen. Jacob Anderegg, R-Lehi, dismissed the outcome of the November election, during which 53 percent of voters statewide approved the full Medicaid expansion initiative. 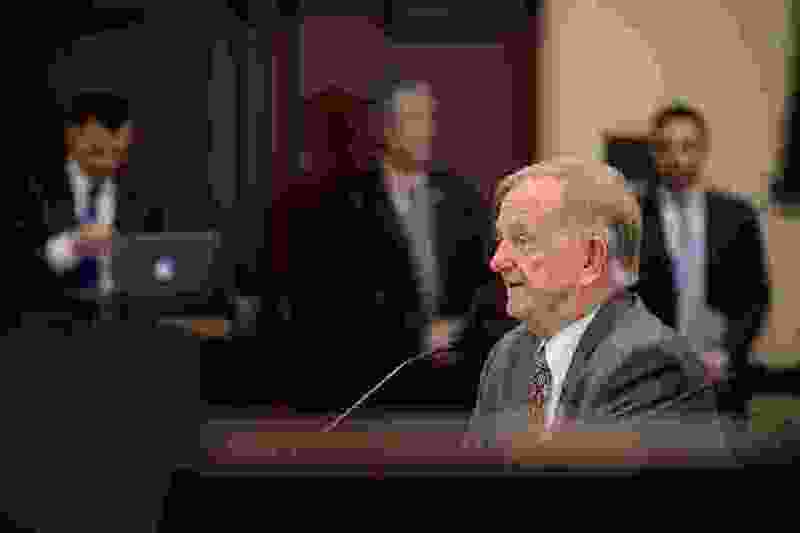 He said he is “100 percent convinced” that a majority of Utahns would not have cast a ballot in favor of full expansion if they understood its cost to the state. Supporters of the initiative and full expansion have described Christensen’s bill as a “repeal” of Prop 3. On Tuesday, following the Senate Health and Human Services Committee’s approval of the bill, Utah Health Policy Project analyst Stacy Stanford said that Utahns had voted for full expansion, without caps, delays, red tape or federal waivers. An analysis of November election results by the Utah Health Policy Project found that 17 senators — out of 29 — represent areas where the initiative earned majority support. Among those 17 senators, 10 voted Wednesday to replace Prop 3 with SB96: Christensen; Senate President Stuart Adams, R-Layton; and Sens. Wayne Harper, R-Taylorsville; Kirk Cullimore, R-Draper; Daniel Thatcher, R-West Valley City, Curt Bramble, R-Provo; Ann Millner, R-Ogden; Lyle Hillyard, R-Logan; David Hinkins, R-Orangeville; and Ronald Winterton, R-Roosevelt.